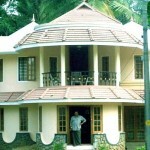 Located just outside the Periyar sanctuary, Kumily is a famous plantation town. 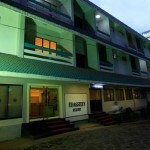 This lovely town has extensive plantations of various Indian spices.It has nearby the Periyar Tiger Reserve and Thekkady lake, Kumily also has attracted tourist traffic. A natural paradise and ideal [lace for all nature lovers and adventure seekers. Periyar national Park makes it must place to visit in Kerala as it has surplus natural beauty. Wildlife and Trekking-Periyar Wildlife Sanctuary, declared as a tiger reserve in 1978, is situated in Thekkady on the Western Ghats. This sanctuary is spread over 777 sq km and is regarded as one of the 27 tiger reserves in India.Apart from tigers, the reserve is home to a variety of animals like wild elephants, common langur, Nilgiri langur, bison, leopards, lion-tailed macaque, gaur, sambar and giant squirrel.Ideal time for visiting this sanctuary is between October and June. Garden-. The Government Agriculture Farm and Flower Garden are the major attractions of the region. 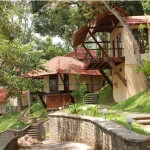 Abraham’s Spice Garden is located on the route to Thekkady. It is an organic garden of spices which is situated off the main road. This garden is an ideal place for learning about organic farming, Ayurveda and cultivation of different kinds of spices. Mangala Devi temple is at a height of around 1,337 m above sea level. This ancient temple is devoted to Goddess Mangala. Special prayers are offered to the Goddess at this temple during the Chitra Purnima. 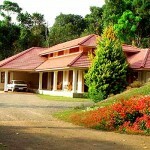 Picninc– Murikkady, situated near the Periyar Tiger Reserve, is a well-known picnic spot. This spot is popular for pepper, coffee and cardamom plantations. This picnic spot is located around 4 km from Kumily. Spice fields– town has extensive plantations of various Indian spices.Vandanmedu, situated about 25 km from Kumily, is considered as one of the largest trade centers of cardamom in the world. Tourists can enjoy a walk through the cardamom plantations, apart from trekking, rock climbing and other activities.